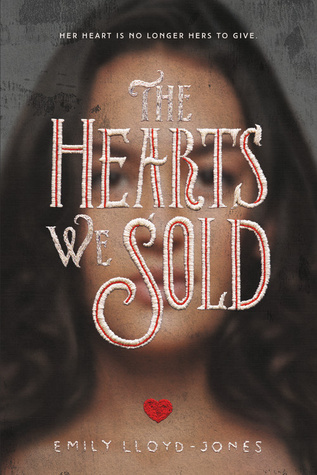 In The Hearts We Sold by Emily Lloyd-Jones, demons run free and humans are making deals with them. What do demons desire the most? Your limbs, in exchange for anything you’ve ever wanted. For some, it’s a finger for endless beauty, a leg for fame, an arm for someone else’s life, etc. For Dee Moreno, however, it’s her heart for an escape from an abusive home. When Dee finds out that her boarding school is cutting off her merit scholarship, she knows she’s in a difficult situation. Her parents are alcoholics, and her emotionally abusive father refuses to help pay her tuition fee. Without a way to support herself, Dee does the only thing she can think of: she makes a deal with a demon. But this demon wants more than just a body part. He wants her heart—for two whole years. At first, all seems well. Dee can stay in boarding school, where she lives with her eccentric roommate, Gremma. More importantly, she doesn’t have to depend on her parents. However, Dee soon realizes that she’s gotten into far more than she’s bargained for. It turns out that demons aren’t the only monsters roaming the universe. Dee finds herself among a team of other deal-making teenagers, including the charming artist James Lancer. These teens are the only ones who can shut down the voids threatening our reality and allowing otherworldly creatures to enter our world. On top of that, Dee finds herself falling hard for James. But can she give someone her heart when it’s no longer hers to give? A modern Faustian tale, this book is the perfect read for fans of fantasy and sci-fi, who appreciate a gothic fairytale twist. While some aspects of the book could have been better explained—such as the science behind the voids in our reality—and how the teens are able to jump back and forth through them, The Hearts We Sold is surprisingly refreshing, with a diverse cast of characters and an endearing narrative voice. Author Emily Lloyd-Jones tackles tough issues like depression and self-doubt, while asking questions about life and immortality. Is it better to die young and be remembered forever, or live a long life without accomplishment? As Dee learns to make choices and live with them, she also finds the strength to let go of her past and choose to survive. The Hearts We Sold is dark, compelling and romantic and will have readers questioning the nature of humanity and the meaning of being alive.